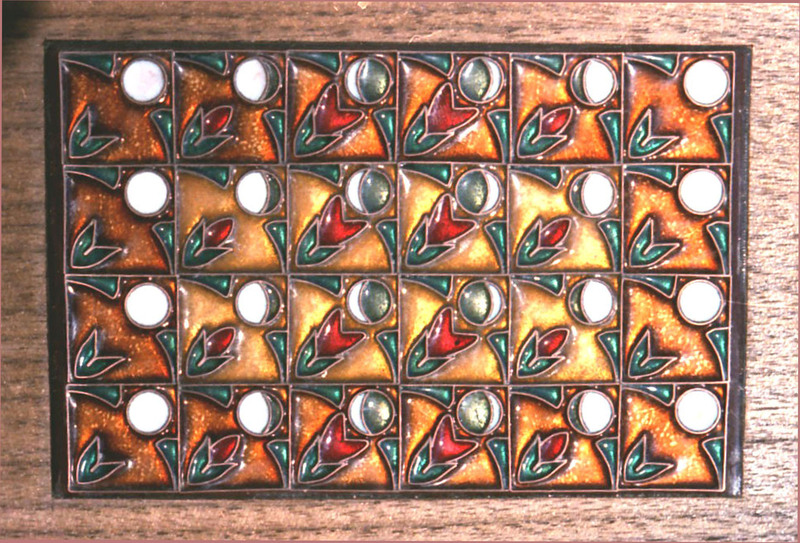 Moon Checkers is a workpiece of cloisonné enamel mounted on a wooden box. 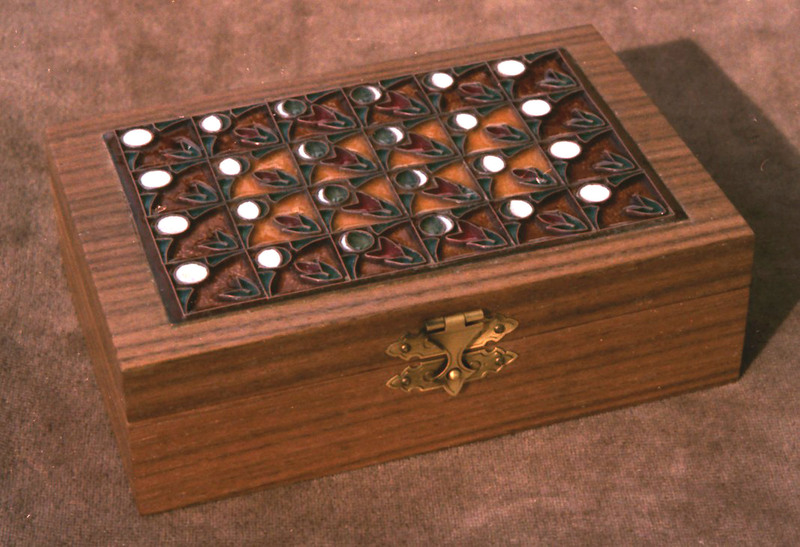 It was produced by a special version of the technique, known as concave cloisonné. The conventional technique calls for completely filling the cells with enamel, then honing the surface to a flat or gently curved shape. In concave cloisonné, the cells are only partly filled with enamel, which is allowed to take on its natural shape after firing and cooling. In cross-section, the enamel surfaces within each cell are U-shaped, as the edges tend to climb up the wire wall by capillary attraction. For some designs, this produces an attractively textured surface. 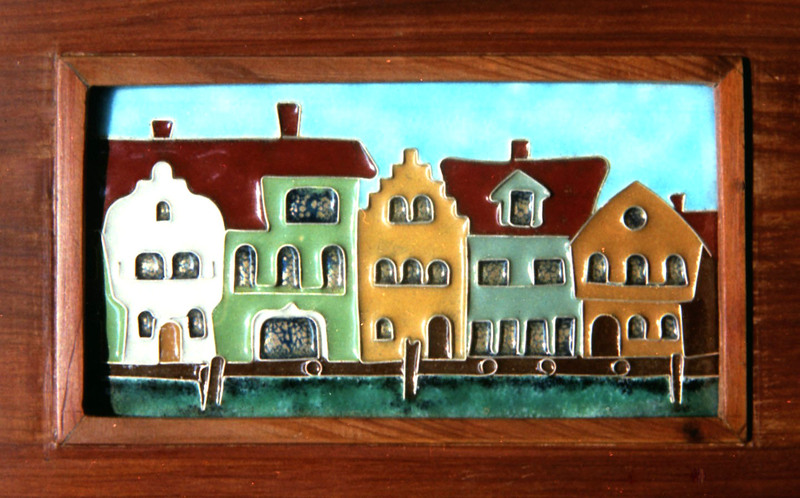 Where transparent enamels are used, as in this piece, their lens-like qualities tend to enhance colors and brilliance. The finished enamel is not honed, but the tops of the wires may be evened up by this method. The images of the moon, each placed in its own square in the pattern, resemble the pieces on a checkerboard. The plants growing in each square seem to be checking on the changing phases of the moon as a means of regulating their own blooming cycle. 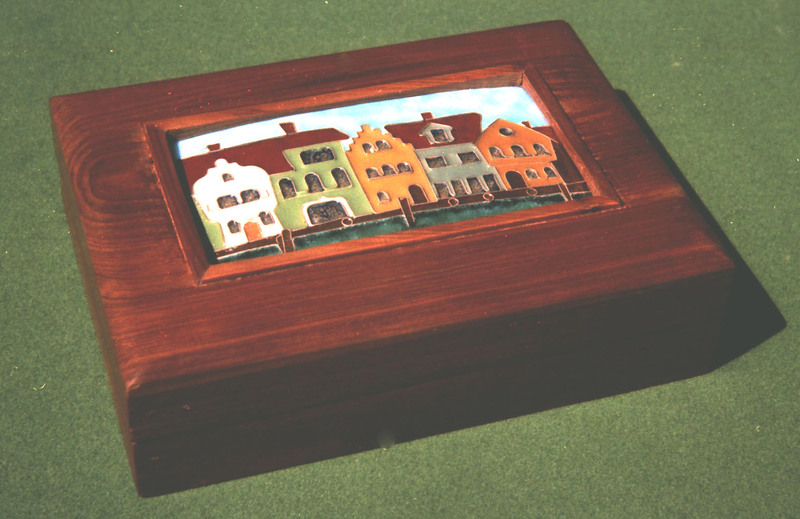 Shown below is one of the earliest pieces, made in an elementary class, mounted on a wooden box, and titled “Village Wharf.” It is an example of the concave cloisonné style with mostly opaque enamels. This entry was posted in Art and tagged Cloisonné, Concave Cloisonné, Enamel, Torpedo Factory. Bookmark the permalink.